Melbourne in winter is cold. But if you stand in the intense sunlight, it’s not too bad by my English standards. 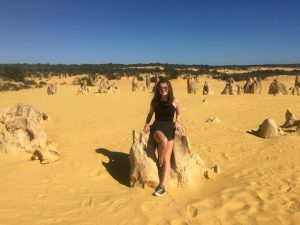 It hasn’t stopped me, and a group of other exchange students I met, from visiting the beach to enjoy bright vistas, or visiting the zoo to see the kangaroos and koalas first-hand. 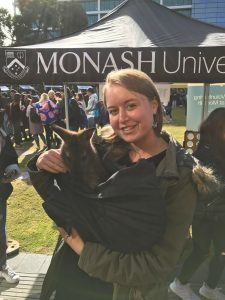 In fact, our first few weeks here have been very busy, with all of the orientation activities that Monash University planned for us. These included not only information sessions about the university, but also an array of social events. 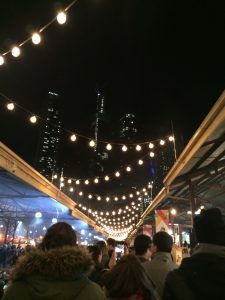 The nights do feel like winter, with many establishments celebrating ‘Christmas in July’, and in fact the Queen Victoria markets, which we visited in orientation, were putting on an attempt at a Christmas market. 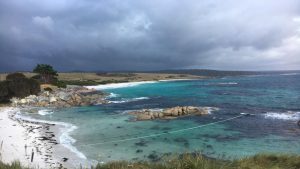 It was very festive and cosy and even though it was winter and under a shelter, the Australians were not deterred from barbequing, so it did get a bit smoky! Monash is also in on this BBQ culture, and seems to have one every week on campus, if you are part of one of their many societies. I have so far tried out the badminton society, which is extremely friendly and enjoyable, and will be joining the ultimate frisbee society next week. I have been told that the frisbee society is especially social, with regular BBQs, hikes and camping trips, so I am looking forward to it. 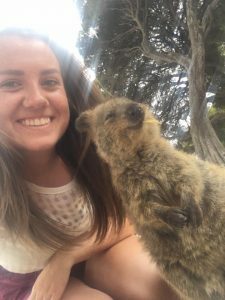 There is also an outdoors society for this kind of thing, which I am hoping will help in my mission to see as much of Australia as I can before my exchange comes to an end. So far, it is going well, but I intend to make plans soon for wider travels. Australia is a big country! 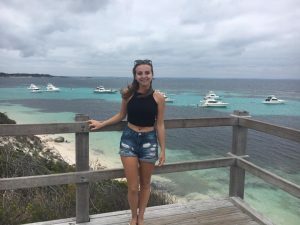 So far I have been very lucky with my travels, as my family has been able to show me around and recommend some places. 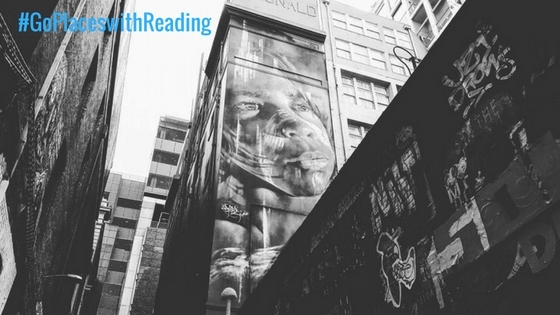 My cousin has even taken me to see some of Melbourne’s best street art, and Melbourne is a very artistic place. It is also very laid-back and friendly; everyone really is your ‘mate’. I think I will like it here. 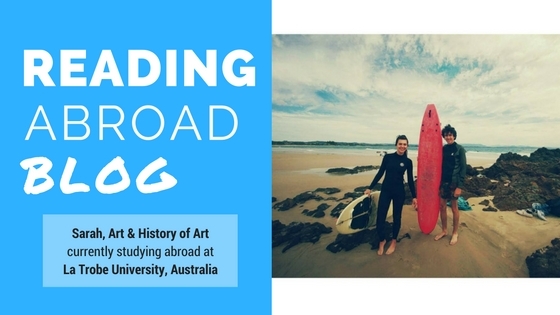 MADA, or Monash Art, Design and Architecture, runs quite differently to the art department in Reading. You can choose elective units from anywhere in the department, if you’re an art student like I am, or from anywhere in the university, if you’re from a different Reading department, I believe. 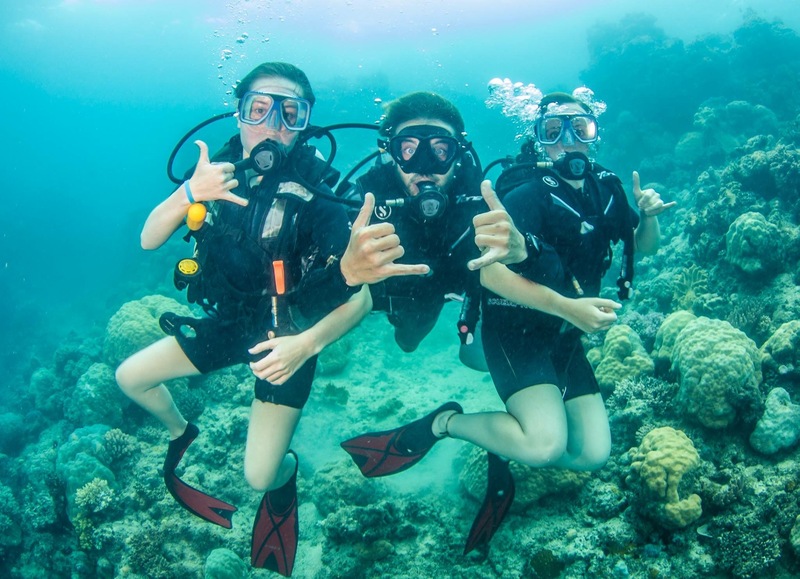 This allows us to be exposed to a range of different skills! I am learning about photography, illustration, coding, and film. So I will have no problem filling my time with assignments, as well as with all of the travelling I intend to do. Time is going by so quickly! 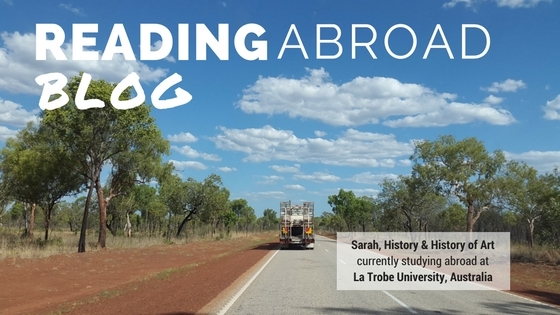 Sarah studied abroad at La Trobe University in Australia as part of her Art & History of Art degree at Reading over the Autumn term. The semester down under has already come to an end. 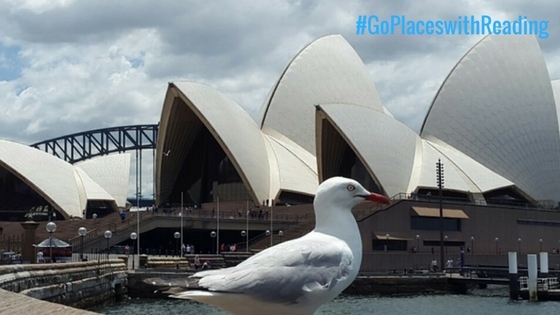 Read on to find out how she has made the most of her time Down Under before returning to the UK. 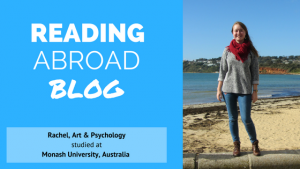 So, I have come to the end of my Semester abroad! 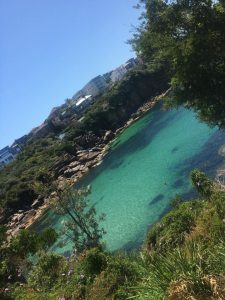 Although the term officially ends tomorrow my last class was a month ago, and my last exam two weeks, so I have been soaking up the Australian lifestyle and travelling the East Coast! 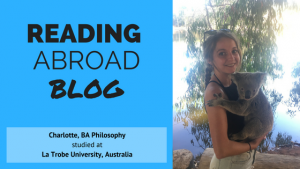 It was sad to say goodbye to Melbourne and La Trobe; I had a great time in the city and made a lot of good friends which only really gives me an excuse to travel to more places. My last few days were spent on rooftop bars, eating dumplings and catching the trams around the CBD, all things that will be impossibly expensive once back in England! 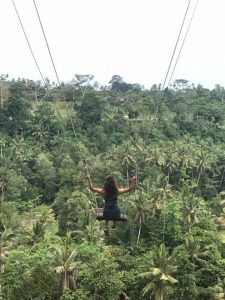 My classes have gone well but the results easy to forget about as I am having far too much fun travelling, one of great opportunities that study abroad has given me. 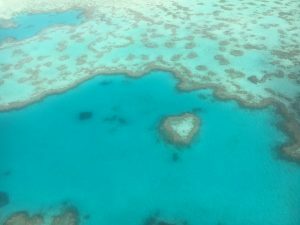 After learning about Australia for the past three months it has been incredible to get out and see it. 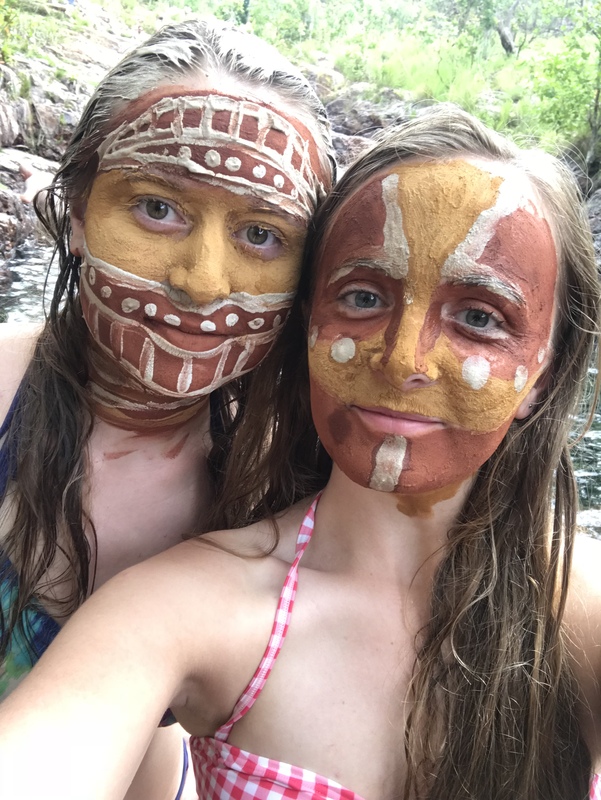 From the diversity of the heat and humidity of Darwin, with its red sands and tropical plants, to the British chill and lush greenery of Tasmania it is hard to believe you are in one country. 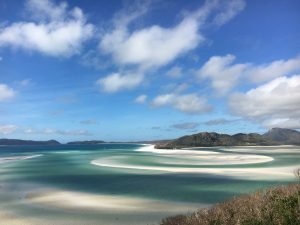 The Whitsunday Islands were a dream come true and so picture perfect that you have to remind yourself you’re still awake. 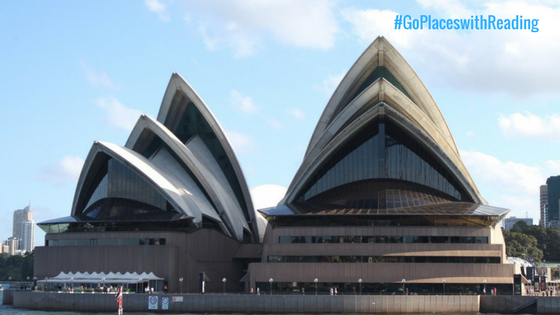 Sydney on the other hand stands out as the biggest iconic city in Australia, with a diversity of culture and activities to match. 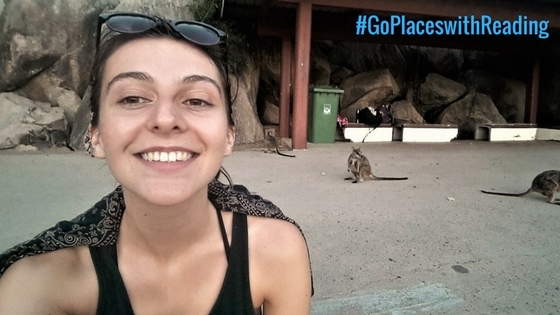 I’ve hung out with more wallabies than I could count and seen so many adorable koalas that I could barely take anymore cuteness. After visiting City College of the Arts final exhibition in Sydney I just want to do another exchange! 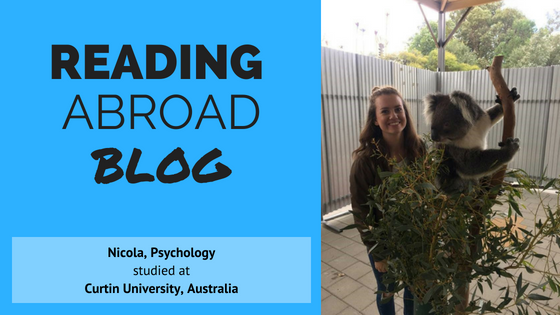 Studying abroad has made me consider my options of further education and Masters and has opened so many doors of living possibilities, jobs and travel! I am currently on a flight back to Melbourne and will then be getting one to New Zealand tomorrow. Just a year ago I couldn’t foresee travelling to all of the amazing places so far from home and even living it now I feel incredibly lucky and can’t wait for the next adventure. 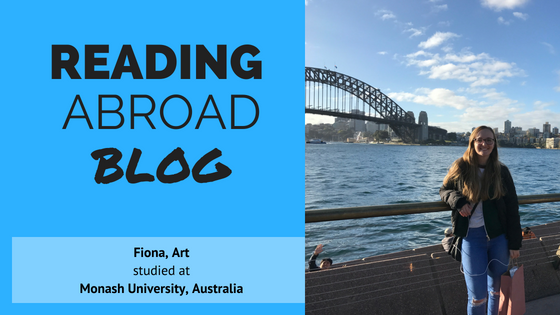 The whole experience of study abroad, from July to now, has been of massive positive impact. 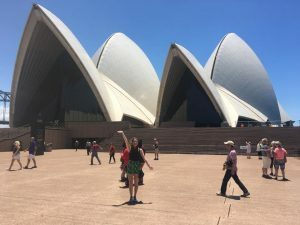 It was hard to move so far from home at the beginning, to such a different culture and I’ve tested my strengths and weaknesses along the way and feel I’ve come out as a better rounded person. 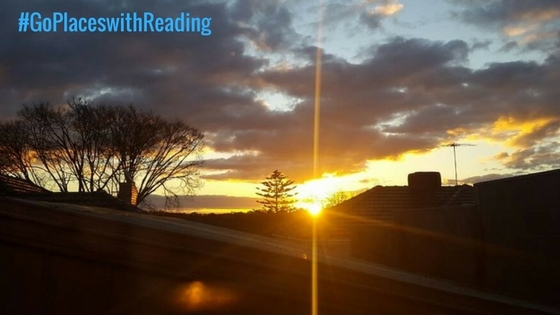 After experiencing the transition of culture, lifestyle and time difference I am eager to help any other study abroad students coming to Reading to settle in and feel at home as quickly as possible. 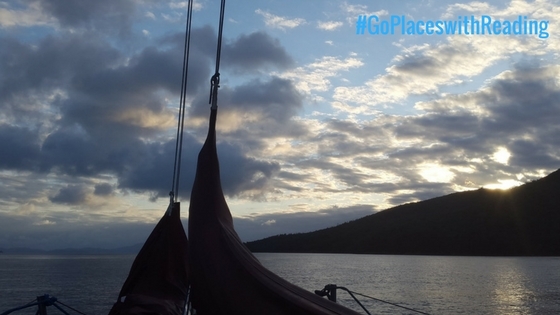 It can be daunting to move away and can sometimes feel as though the other place is a dream (as their day is your night!) but the rewards are so much more than any feeling of homesickness and you soon only feel excited for the next chapter. 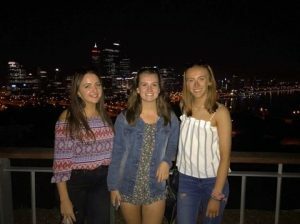 Overall, study abroad has been an A* experience and if I could do it again I definitely would! 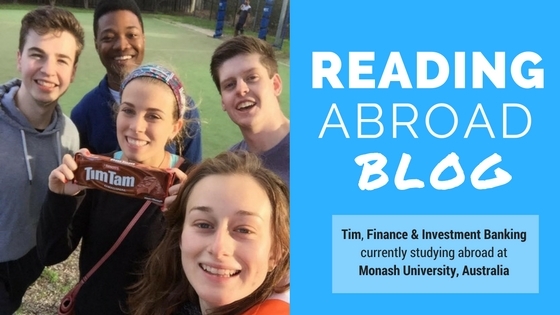 Tim is currently studying abroad at Monash University in Australia with his Henley Business School degree at Reading. 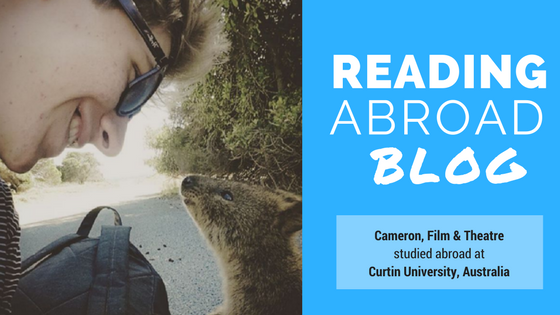 Read on to find out what he got up to in ‘O-Week’ during his first few weeks studying abroad Down Under. It now feels like a lifetime ago when I was first introduced to the difference between “yeah nah” and “nah yeah” (the latter being key). Landing on the Tullamarine runway after 24 hours of crying babies and thunderous snoring (not me), is a foggy jet-lagged memory that will remind me forever as the start to my year abroad in Melbourne! 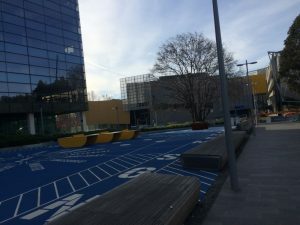 The Clayton campus at Monash University is a lot bigger than I first anticipated. No longer are the days where I could leave 5 minutes before a lecture started and still make it on time. I live in Farrer Hall a 10-20 minute walk to campus depending on where your lecture is situated. Before arriving, I was told that Farrer was by far the most sociable halls on campus and after the first few days of my residency it was already clear that this was 100% true. A common room, 2 games rooms featuring table tennis, a pool table and a cinema style TV, I still remain to never have had a dull moment in Farrer whether it was either participating in the activities of O-week or potting a few balls with friends. 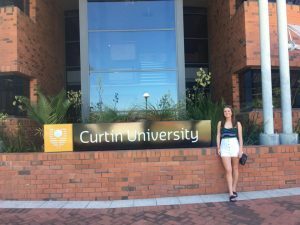 O-week is the equivalent to “freshers” in the UK however, there seemed to be a lot more activities to do during these first two weeks in Australia as well as a lot more free food on campus! 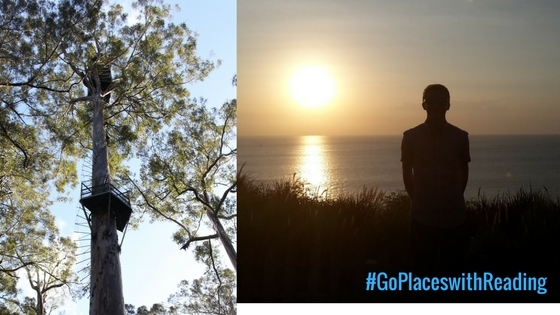 The most notable events during O-week were the scavenger hunts. The first was around the university campus doing an activity (such as mummifying a team member in toilet paper (Me)) or ‘striking a pose’ at each destination. We end up coming second and winning a pack of “TimTams”. 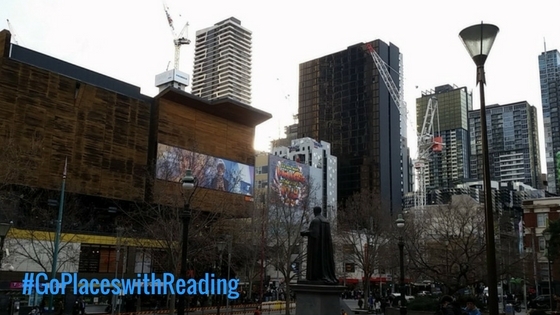 The second scavenger hunt was host in the city of Melbourne. Each team were given an activity sheet and required to perform each task on the list, record it and upload it to the events page online to get points for your team. Some examples include serenading a stranger, forming a conga line on the train and running into the wall at platform 9 ¾. The typical night out is a trip to “Dooley’s” on a Wednesday and/or “The Nott” on a Thursday. I was introduced to the infamous “goon” before these nights out, the beverage of choice for most students thanks to its price – not the taste. 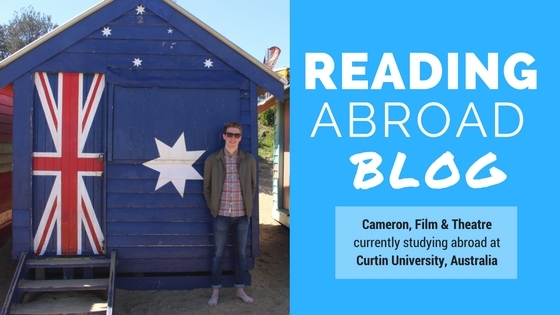 With money running low, finding a job is very difficult when considering the distance to travel anywhere within Melbourne from the university. A bus, train and tram are usually needed to get anywhere within the city, getting to closer suburbs requires a few bus changes which can easily take up to an hour to get to. Nevertheless, I’d never have dreamt that I’d have had this much fun already and met so many amazing people. 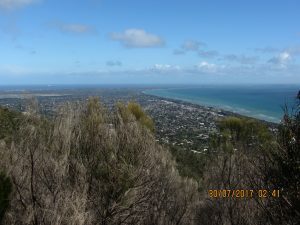 I’m eager to see what the rest of the semester brings as well as explore the rest of activities Melbourne has to offer.